1. Acne treatment. Most people with acne don't realize that a plant oil such as lavender won't clog pores, according to Marina Peredo, a board certified dermatologist at SkinInfluence NYC. "The antiseptic and antibacterial properties may be a more natural solution to mild acne," she says. To create your own facial toner, Peredo recommends combining a few drops of lavender oil to witch hazel. 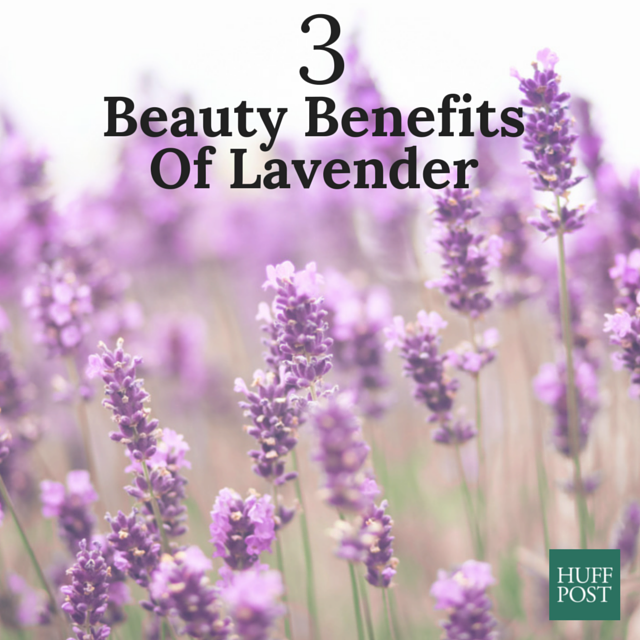 The lavender works to heal and treat breakouts, while the witch hazel tones your complexion. Dab the solution onto a cotton ball and apply to cleansed skin. 2. Scalp rinse. If you've tried just about every dandruff shampoo to relieve dry, itchy scalp, don't give up hope until you've mixed up the lavender hair rinse by Amy Jirsa, a master herbalist and yoga instructor. In her book "The Herbal Goddess," Jirsa shares a recipe that combines dried lavender steeped in boiled water and apple cider vinegar to make a nourishing rinse that will remove build-up, alleviate irritation and restore the natural pH balance of your scalp. Watch her explain the steps on YouTube.